Our teams of doctors and practitioners have one goal, to help you FEEL BETTER. BE BETTER. STAY BETTER. That’s why we offer a wide array of services to give you the best care possible. If you suffer from any of the chronic pains listed below, then it’s time to schedule an appointment with one of our team members so you can become pain free and enjoy life. Migraines are headaches that cause severe pain and other symptoms, such as mood changes, vision changes, and pain on only one side of the head. Women tend to experience migraines more often than men, and they may have a genetic component. They can be incapacitating to some people and cause lost time from work. Migraines are caused by abnormal brain activity and is likely due to changes in the nerve pathways and brain chemicals that affect blood flow to the brain and the surrounding tissues. What are the primary symptoms of migraines? Chiropractors believe good health comes from proper alignment and function of the spine. Treatment involves no toxic substances, invasive methods, or drugs. Subluxations, or misalignments, in the spine can compromise your nerve and immune function, potentially causing symptoms, such as migraines. By correcting mechanical dysfunctions in the vertebrae of the neck, chiropractic adjustments may relieve headaches and migraines. The adjustments can reduce muscle tension that irritates delicate nerves and the rate of blood flow into the head. When will I experience relief? Everyone responds to chiropractic care differently. You might find the frequency of your migraines decreases or that their severity diminishes. With regular chiropractic care over time, your migraines may disappear completely. Massage therapy helps with pain management, relaxation, and relieving stress and tension. 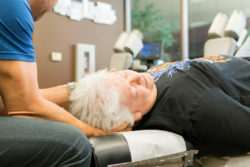 At KaiZen Progressive Health, located in Scottsdale, Arizona, massage is an integral part of your total therapy plan. Dr. Steve Hruby and his team of health providers collaborate with certified massage therapists to ensure you’re getting the best possible treatment. How does massage at KaiZen Progressive Health differ from a regular massage clinic? At a standard massage clinic, the massage therapist only knows what you tell them. He/she may address areas of soreness or pain, but won’t have a comprehensive picture of your complete health background and needs. 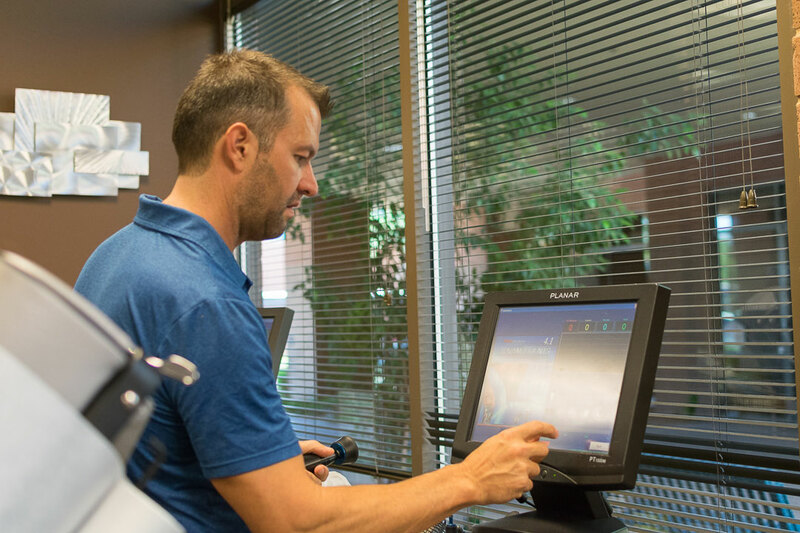 At KaiZen Progressive Health, massage therapists can review scans and X-rays as well as discuss your therapy with the entire medical and rehabilitation team. This ensures your massage therapy is therapeutic, targeted, and effective. It becomes part of a total-body, wellness treatment plan. Why is massage an important part of my treatment? If you’ve come to KaiZen Progressive Health due to back pain or injury, chances are you’ve developed tight muscles to compensate. Massage can help you work through this compensatory tightness. While chiropractic or amniotic allograft gets at the source of your problem, massage will ease some of the symptoms. It’ll help you regain full range of motion. For patients with inflammation and chronic pain, massage can offer relaxation and stress release. Massage can also promote circulation and muscle function, possibly reducing pain. Massage helps relieve physical and mental distress. It releases muscle knots, boosts circulation, relaxes you, and eases tight muscles and connective tissues. Massage isn’t a replacement for your other therapies at KaiZen Progressive Health — it’s part of your comprehensive treatment plan. It’s not just about needles. Acupuncture can also mean cupping and acupressure. It’s been around for centuries and can help you with pain, allergies, headaches, reproductive issues, anti-aging, and so much more. Our office integrates Acupuncture with other practices, giving the best possible results to our patients!